FN Herstal was founded as Fabrique Nationale d'Armes de Guerre way back in 1889 when the company produced 150,000 Mauser rifles for the Belgian army. Over the years FN has produced some of the finest and most iconic firearms in the world for both military and civilian consumers, including the M2 "Ma Deuce" Browning .50 caliber machine gun back in World War II and the SCAR 17 carbine serving our special operations soldiers today. 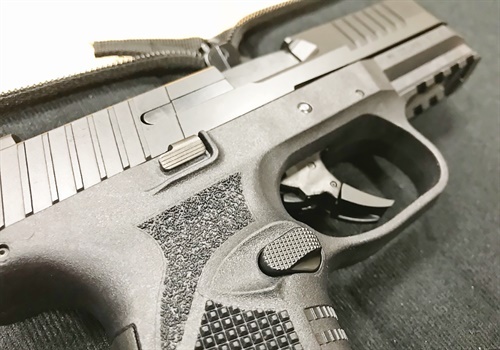 The latest FN America duty pistol is the FN 509. 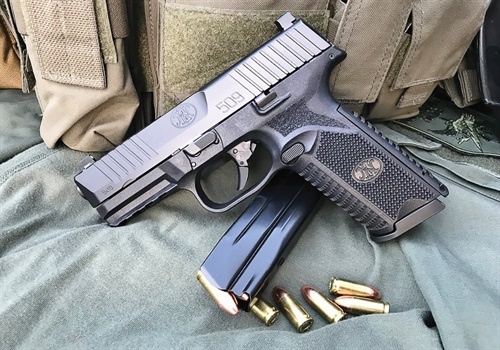 Conceived as FN's competitor for the Army's latest Modular Handgun System program, the 509 is a polymer-framed, striker-fired, semi-automatic pistol chambered in the trusty 9mm cartridge. 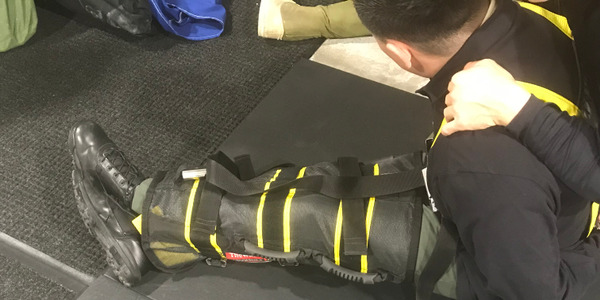 It isn't flashy and it doesn't feature anything "revolutionary," but it is a reliable tool designed for our men and women in uniform and that's right up my alley. 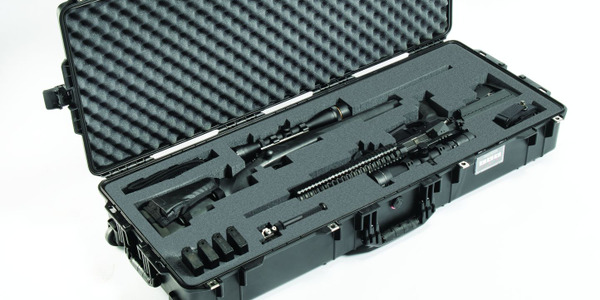 My 509 pistol arrived in a soft, zippered case with the FN logo embroidered on the front. A nice touch and a contrast to the hard plastic cases that accompany most pistols these days. Inside was a compact owner's manual, a gun lock, and the 509 with two magazines and two interchangeable backstraps. No frills, just function. The 509 fits my hand well and one of the first things I noticed was the aggressive texturing on the grip. The front and backstraps feature large knurling with a smaller grid pattern on the sides. The finest texture was a sandpaper-like patch on the top thumb-rest groove. This mix of textures makes a lot of sense when you hold the gun in your hand as each creates a different flavor of grip that together make for a very secure fit. The same is true with dirty and/or gloved hands. There are no finger grooves on the front of the grip, which I like, and even with the larger of the two backstrap options the entire profile of the grip is what I would consider very slim. Unlike a Glock, the 509's grip has just enough polymer to encompass the magazine with no additional voids built in for size. 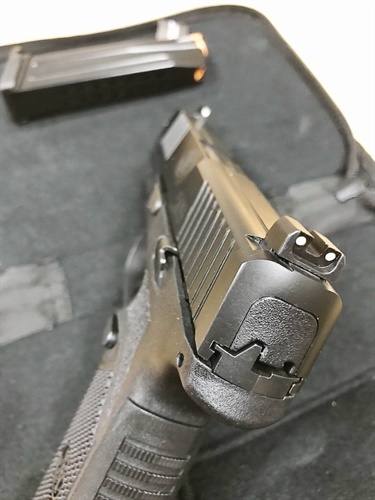 It is by far the most minimalist grip I've seen on a pistol in this category. If you have small hands or just prefer to have a dominating one-handed grip on your pistols you'll be thrilled with this one. The new FN's frame also has a deep, integrated "beavertail" at the rear, which creates a great pocket for the web of your hand and really adds to a secure grip while reducing the possibility of slide-bite. 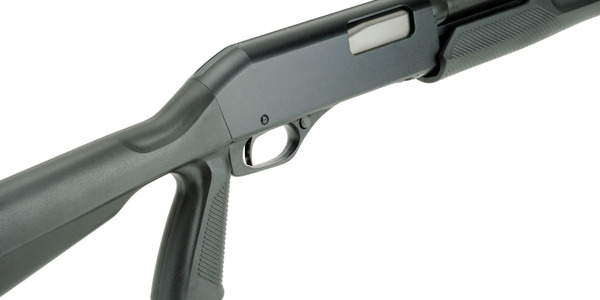 The trigger guard is large and rounded with plenty of room for a gloved finger. The rear portion that attaches to the grip is nicely contoured and rounded so there is almost no rubbing on the middle finger. My second knuckle indexes perfectly on the side of the trigger guard of most pistols so without the rounded edge I end up with a blister almost immediately. It may seem like a small detail but for guys like me FN hit a home run. 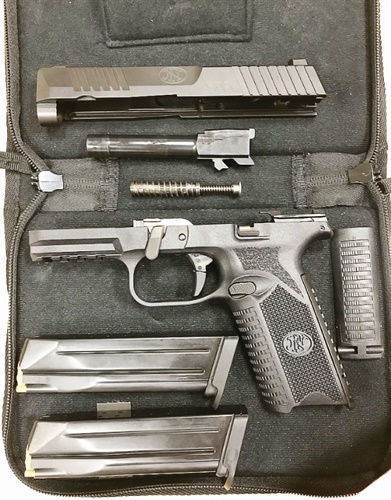 The front of the frame also features a small, four-channel section of 1913 rail that will accept pretty much any pistol light and/or laser, par for the course with any good tactical pistol these days. One of the first things I assess when handling a new pistol is the balance of the weapon. The 509 is a heavy gun, even unloaded, and you definitely feel the heft of the slide and barrel in your hand when compared to the featherweight, minimalist frame. Moving from plastic to metal the 509's slide and barrel assembly is robust to say the least. The machining on the 509's slide is superb with clean contours and aggressive cocking serrations fore and aft. 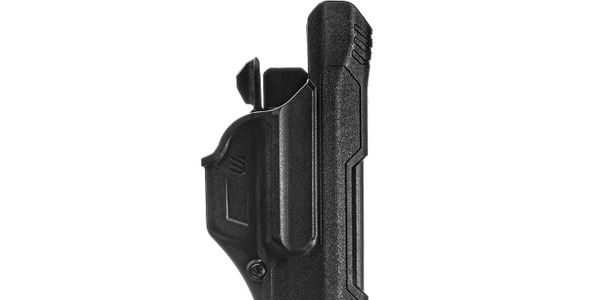 The squared-off profile on the rear half transitions to an angular, relief cut front half that shaves off weight and lends itself to smoother holstering. The ejection port is large and the sights are dovetail cut front and rear, allowing for a variety of aftermarket options if you don't care for the 509's factory three-dot set. And just so there's no forgetting what gun you're holding, the FN logo, 509 model number, and caliber are beautifully laser-cut into the side. If you've ever read one of my previous weapon reviews in POLICE this will sound familiar to you but bear with me as I establish what I like to call the "ground rules." 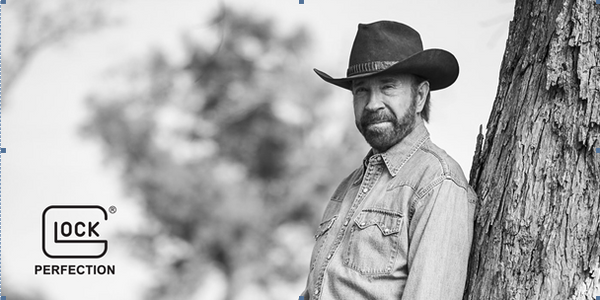 I'm a professional and see guns as tools, not treasures. As such I want to see how functional, robust, and reliable they are under real-world conditions. If I'm shooting a pistol I'm not going to nitpick over whether it can shoot a 1-inch group from a bench rest. Let's be realistic here; the odds of engaging in a gunfight at a distance even close to that are slim to none and if it were to happen your odds of hitting your target are even lower. That being the case my approach to this evaluation of the FN 509, as with any other combat pistol, was to run it hard and fast. I want to see it fight, down and dirty, without hesitation and without fail. That's what matters in the real world and what allows us to go home at the end of our shift. That said, let's get down to business. The 509 is chambered in the 9mm round, which is making a huge comeback in the law enforcement world and for good reason. The 9mm ammunition of today is faster and more effective than ever before and outperforms most of its .40 caliber and .45 caliber duty-grade competition. As proof my agency is one of many transitioning back to 9mm from the .40 we've relied on for decades. We've found that the impressive ballistic capabilities paired with the higher magazine capacity and reduced felt-recoil offered by the 9mm round were just too good to pass up. 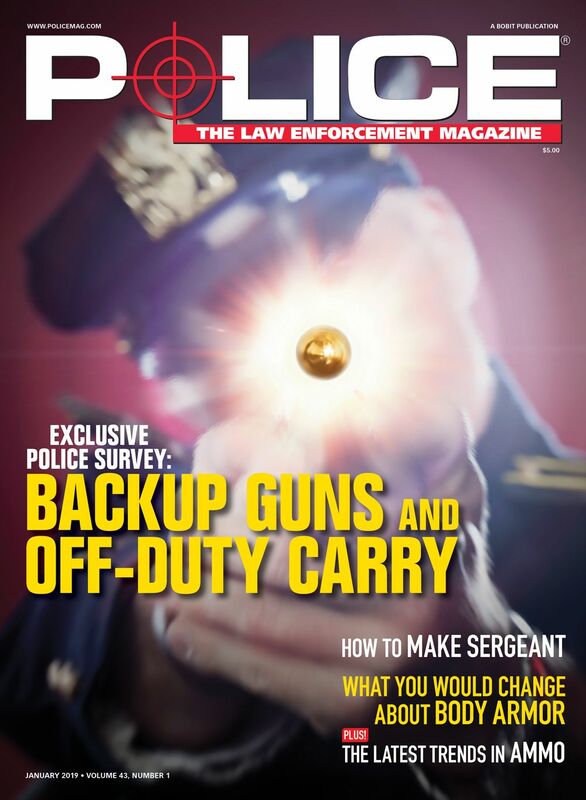 All of my shooting was done from the 25-yard line and closer in as this is the standard for most police pistol qualification courses and where you're most likely to engage in a gunfight on the street. Before I sent a single round downrange, I spent about 20 minutes loading, unloading, function-checking, and manipulating the 509 to both get a good feel for the controls and also try to identify any design characteristics that didn't make sense. The 509's steel 17-round magazines loaded easily and didn't require much effort to seat reliably into the gun. The ambidextrous magazine release buttons on the 509 were large and perfectly located and I never had any trouble locating them even with gloved hands. Once activated, the magazines dropped free cleanly every time and their large polymer baseplates made retrieval and reloading drills very easy. 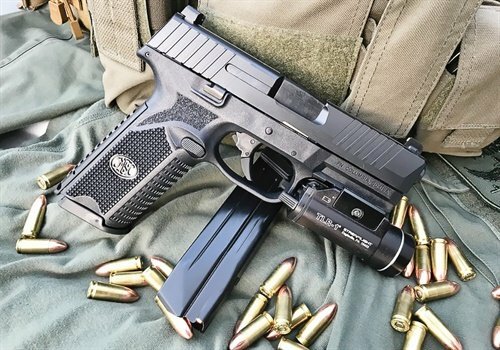 The trigger is the heart and soul of most pistols and can seal or sink the deal when it comes to choosing a duty sidearm. The trigger on the FN 509 is a smooth two-piece polymer design that integrates the safety. It is nicely curved without "cupping" the trigger finger and very wide. It is on the heavier side of those in this category with even the first stage, or "slack" portion requiring a very positive pull. There is a distinct second stage that requires a firm press and there is about one-quarter inch of creep between that and the final break. It isn't gritty but it is a little sticky and inconsistent, something that, in my experience, will likely get better over time. The reset is short and positive, so quick follow-up shots are easily accomplished with little wasted movement. Although it is a solid and reliable duty weapon, if you're looking for a competition pistol the 509 probably isn't your best option. As I made my way through several shooting drills, I tried to mix in a good variety of manipulations, reloads, speed, and accuracy tests. I even incorporated some dummy rounds and set up a few stage-2 malfunctions to see how difficult it would be to render the weapon unusable. The 509 handled all of it very well, a success critical to any duty-grade weapon. Across the board, all of the ammo I used fed reliably and shot accurately. Speaking of accuracy, the 509 was able to hold very tight groups, even out to 25 yards, and is on par with similar pistols. Now for the drawbacks. Although the list is short there are a few design characteristics of the 509 that I didn't personally care for. Second is the balance of the gun. The heft of the upper assembly is noticeable, especially under recoil as there is very little weight in the frame to help balance it out. This isn't what I would consider a flaw, just something to note and may not appeal to some shooters. All in all I am very impressed with the FN 509. Having owned and shot many of FN's offerings over the years, I have no question as to their quality or reliability and the 509 is no exception. The craftsmanship, fit and finish, and design of the pistol is well thought out and it performs beautifully as a combat or duty-grade pistol. If you're in the market for a new duty pistol, self-defense gun, or just something to play with at the range, I think the 509 is a great choice. 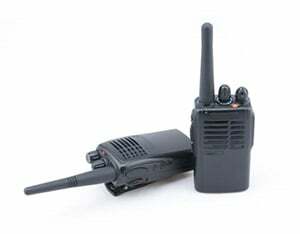 With an MSRP of $649 it is mid-pack with its competition and a great value.